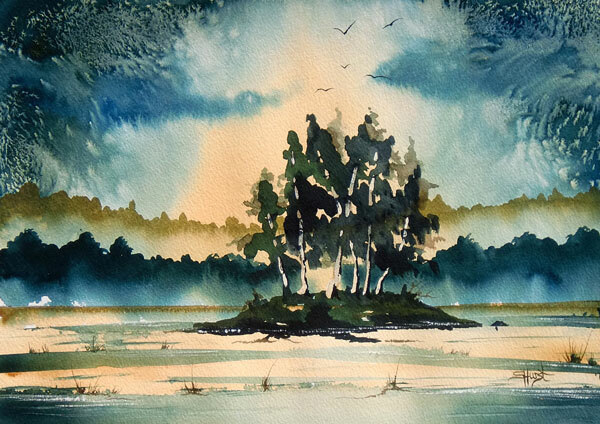 Sharon is a Fantasy watercolourist but enjoys painting silk and making beaded jewellery too. Sharon is a popular TV artist and demonstrates Derwent products on the HOCHANDA shopping channel. She has had her own TV special. She has featured in an episode of “Fraser and Friends” as well as numerous appearances in “A Splash of Paint”. She has illustrated the covers for several books and has 2 teaching DVDs that can be purchased on her website. 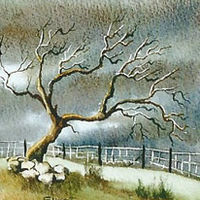 She travels the countryside visiting art groups to demonstrate her techniques and takes up to 6 painting holidays in Dorset every year.